Every year sees various accidents at railway crossings, railway tracks and railway property that results in minor injuries, serious injuries and unfortunately, fatalities. These incidents range from collisions between trains and the general public, either involving vehicles at public crossing or pedestrians taking short cuts across railway tracks. So far in 2017, crossing incidents are on the rise in comparison to 2016. These incidents have a profound and long lasting effect on the survivors and families of those injured or killed by railway accidents, as well as the train crew that operates the train that is involved in such incidents. In addition to the hundreds of Unifor National Council 4000 members that work in a variety of safety sensitive classifications in the railway industry at CN, Toronto Terminals Railway and VIA Rail Canada, which includes Locomotive Hostlers who operate locomotives at CN rail yards, shop facilities and on railway tracks covered under railway rules 105 territory, Council 4000 also represent Locomotive Engineers and Conductors who operate CN trains in northwestern Alberta. They not only witness reckless acts of the general public at railway tracks and crossings, but they also live the accidents when they occur. They are often the first responders to the victims of these accidents, all of which are preventable through public awareness and education. In recognizing the importance of preventing accidents and potential injuries at railway rights-of-way, Operation Lifesaver was created. Operation Lifesaver is a non-profit, international public education program first established in the United States in 1972 to end collisions, deaths and injuries at highway-rail grade crossings and on railroad rights-of-way. Operation Lifesaver began operating in Canada as a public education program, jointly funded by Transport Canada and the Railway Association of Canada in 1981. Through partnerships with provincial safety councils, police, railways, the trucking industry, community groups and labour organizations, Operation Lifesaver is dedicated to saving lives by educating Canadians about the hazards surrounding highway/railway crossings and trespassing on railway property. 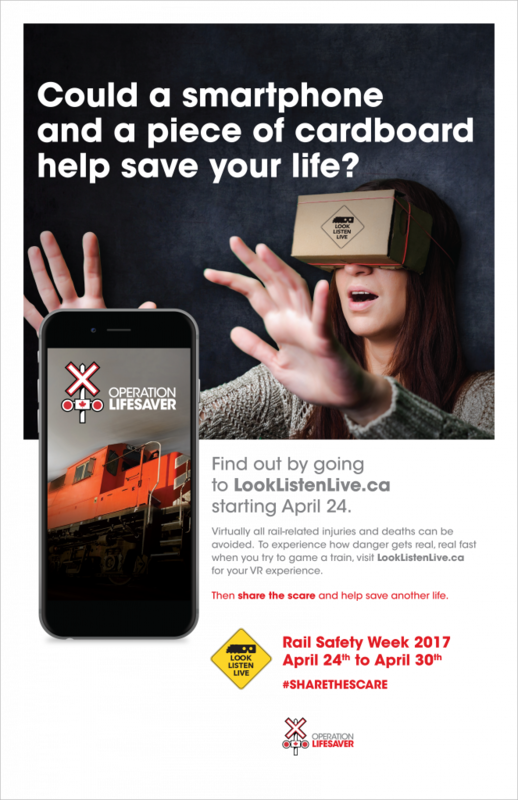 For the past 15 years, the partners of Operation Lifesaver have held Rail Safety Week, aimed at building safety awareness around Canadian railway operations. 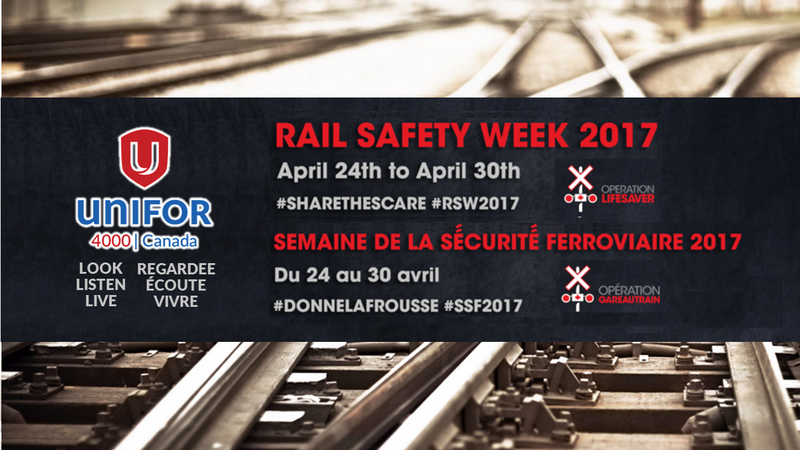 This year, Rail Safety Week runs from April 24 to 30, 2017.